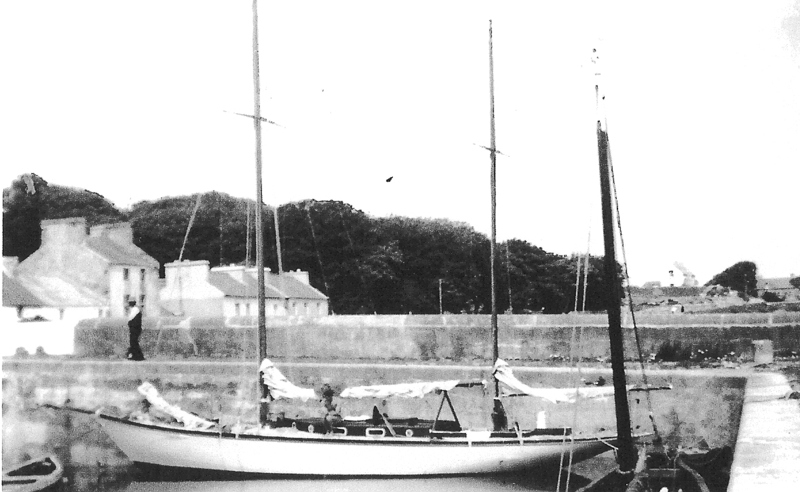 Black & white photograph of the yacht `Charm` at its berth in Co. Sligo, Ireland in the 1940s. 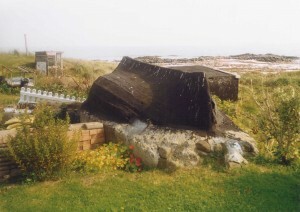 Its wreckage washed up in Hynish Bay in September 1945, with the loss of four lives. The new owner RAF Group Captain G.N. 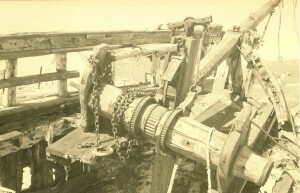 Warrington, his Australian wife and their two friends, FO McGregor and FO Ellis, were sailing from Sligo to Belfast when they ran into a gale and probably a free-floating mine left over from WWII. A full-scale search & rescue was carried out by the RAF and others, but to no avail. Mr & Mrs Warrington had fortunately left their three-year-old son, Alastair, with friends. 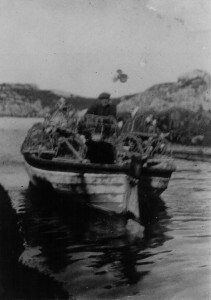 In September 1945, wreckage from the yacht `Charm` mysteriously washed up in Hynish Bay. It transpired the boat had been bought in Ireland some days before as was being sailed from Sligo to Belfast by its new owner, RAF Group Captain G.N. Warrington and his wife and two friends, when it ran into a gale and probably also a free-floating mine left over from WWII. 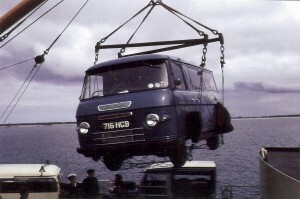 A full-scale search was carried out by the RAF and others, but the bodies were never found. 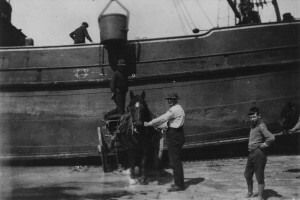 The photo is of the `Charm` at its berth in Sligo.